At different points in time – that is to say, within different phases of our accepted cultural norms and beliefs throughout history – everyone may have their own ideas about the legitimacy of psychic predictions. Many individuals across the globe have faith in the power of psychic abilities, but there are also many who write these powers off as mere fantasy. But there are some psychic predictions, or ‘coincidences’, that have been made over the history of mankind that are astounding. From predictions made in the 14th century, to those made within just this past century, even the biggest nay-sayers may find themselves rethinking their stubborn skepticism upon looking into the details of the most impressive prophecies. Below is a compilation of what many consider the ten most impressive predictions that have occurred throughout history. 6 Female Psychic, Jeanne Dixon, Predicted Assassination of Martin Luther King Jr. The 14th century French physician, Nostradamus, published over a thousand psychic predictions within his lifetime, including a few that foretold historic events such as the French Revolution and the Great Fire of London that occurred in 1666. His predictions of these Napoleon’s and Hitler’s births and periods of power are said to be among a few that were deemed predictions of “anti-Christs” destined to wreak enormous impact on their respective societies. “An Emperor shall be born near Italy. “We will have high-definition, wide-screen television sets and a push-button dialing system to order the movie you want at the time you want it,” Ebert predicted in an interview with the magazine, Omni in 1987. The Serbian-American inventor and engineer, Nikola Tesla, is most famously known for his contributions to the electrical engineering industry – as well as the company named after him, Tesla Motors. Uncanny, no? And an accurate reflection of our current global societies’ appreciation for instant – and convenient – communication. Among other natural disasters across the world, the Australian psychic, Jeffrey Palmer, predicted Hurricane Katrina, which devastated the land and lives of the residents of New Orleans in 2005. As a man who claims to remember multiple childhood episodes of his budding psychic abilities, Palmer only gained international recognition with his Hurricane Katrina prediction. Now,he works as a syndicated columnist who still provides his own psychic predictions. 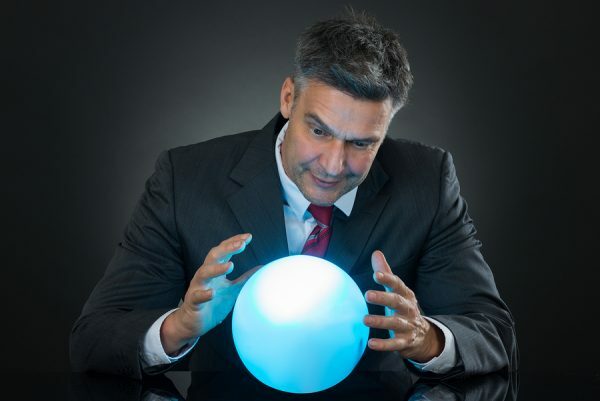 Not all his predictions apparently come true, however, which has raised controversy between those who have faith in psychic power and the skeptics – with a gray area for those unsure being in between. The 20th Century man, Edgar Cayce, is well-known by history buffs within the psychic community as likely one of the more prominent psychic figures of his time. In addition to his predictions of major events such as the two world wars, arguably the most impressive was Cayce’s prediction of the 1963 assassination of JFK. It may be worthwhile to note that Cayce died of a stroke in 1945. Another fascinating fact about Cayce’s dabbles in psychic power is that he provided his psychic predictions while in a self-induced trance-like state, which earned him the nickname the ‘Sleeping Prophet’. Within this semi-conscious state, he recited a number of grand predictions, or ‘visions’ of the future, that ended up proving accurate. Female Psychic, Jeanne Dixon, Predicted Assassination of Martin Luther King Jr.
Jeanne Dixon was another one of the 20th century’s most famous psychics who provided predictions so accurate that she managed to catch the attention of both former President Richard Nixon and former First Lady Nancy Reagan. Dixon’s prediction of the death of civil rights activist, Martin Luther King Jr., came in 1965 – a full three years before he was assassinated. “In my opinion, we should be looking for Bin Laden in Pakistan,” Scrubs janitor says to character, J.D. Whether the popular comedy show, Scrubs, had a psychic within its group of screenwriters or not, the show’s prediction in 2006 of Osama Bin Ladin’s location while in hiding astounded many, to say the least. That is because, when U.S soldiers did finally locate the whereabouts of Bin Ladin, he was indeed found in a guarded Pakistani building. Readers and most media consumers may consider H.G. Wells’ novels to be his greatest achievements, but those within the psychic community are likely familiar with the impressiveness of his prediction of the atomic bomb. This prediction can be found in his 1914 novel, The World Set Free, which contained a similar weapon of mass destruction with radioactive elements. Our world’s atomic bomb created in World War II was not dropped until 1942. The novella, “Futility, or the Wreck of the Titan”, written by short story writer, Morgan Robertson in 1898, detailed the sinking of the largest ship ever made….which sunk due to circumstances identical to those of the real Titanic nearly two decades later. This excerpt is from the book, Democracy in America, written by Alexis de Tocqueville in 1840. The Cold War lasted from 1947 to 1991.